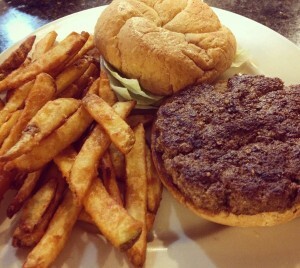 Over 1/2 lb. of fresh ground beef, on a kaiser bun with your choice of cheese. Two fluffy cinnamon rolls, dipped in egg batter, and grilled to perfection. 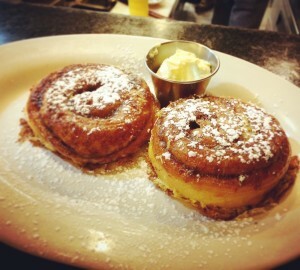 Topped with powdered sugar, served with butter and syrup. 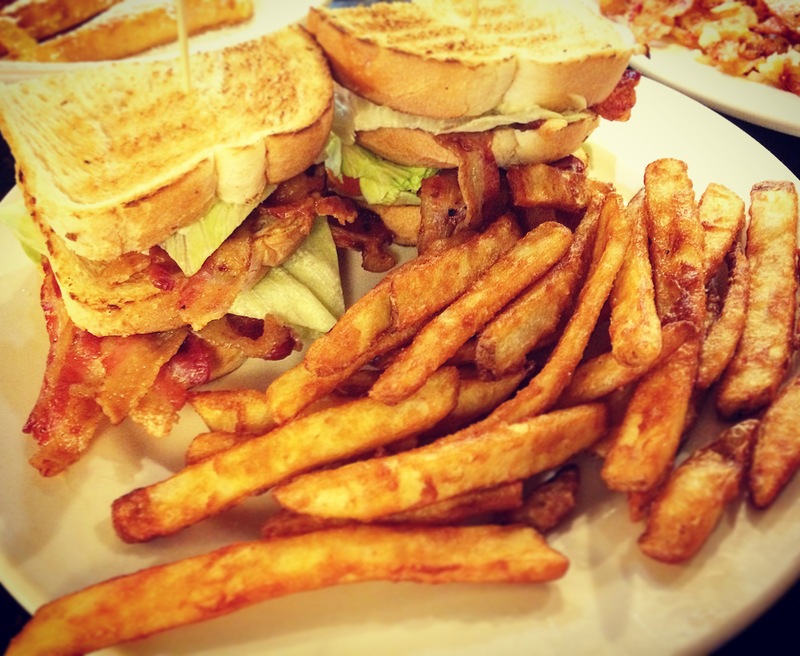 A generous portion of crisp bacon, lettuce tomato, and mayo stacked as a triple-decker. 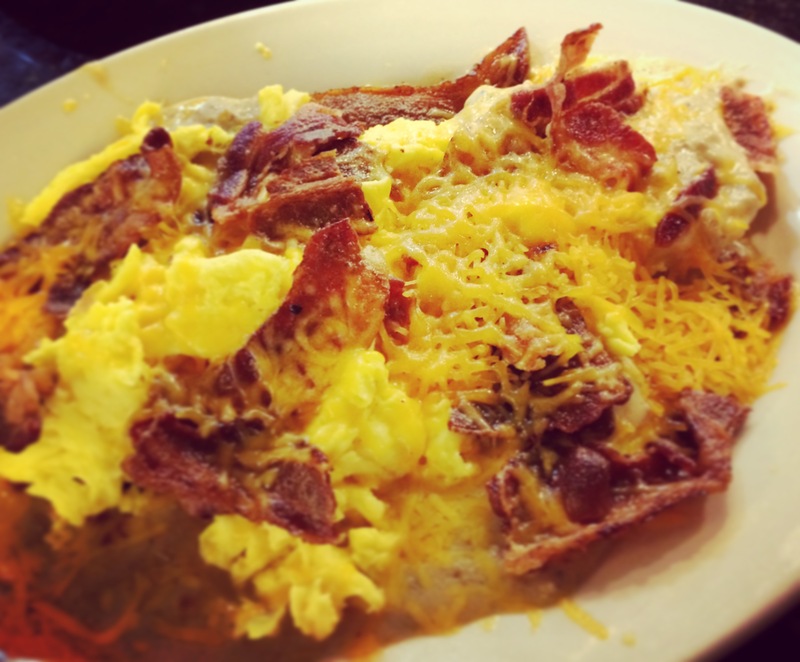 A twist of our traditional biscuits and gravy, topped with the scrambled eggs, cheddar cheese, sausage gravy, and bacon. 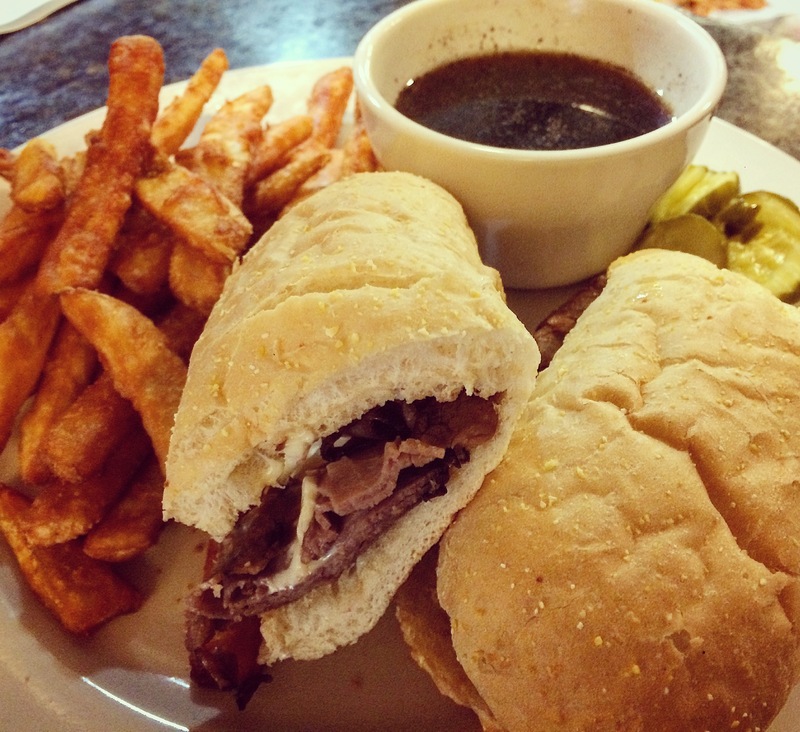 Thinly sliced savory roast beef piled high and topped with Swiss cheese on a grilled hoagie bun, served with au jus. 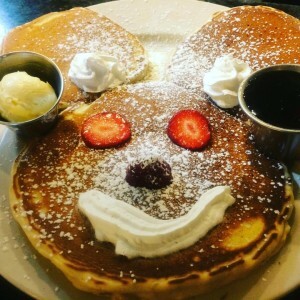 Your choice of Pancakes, French Toast, or Cinnamon Roll French Toast, with a side of your choice of meat. 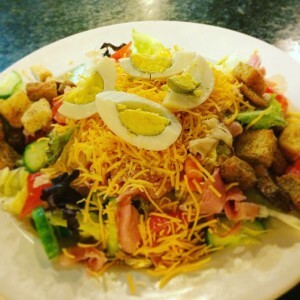 Chopped ham and turkey on mixed greens with cheddar cheese, cucumbers, tomatoes, hard-boiled egg and homemade croutons. 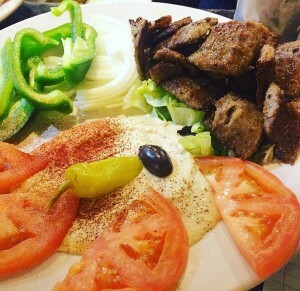 Served with grilled pita. 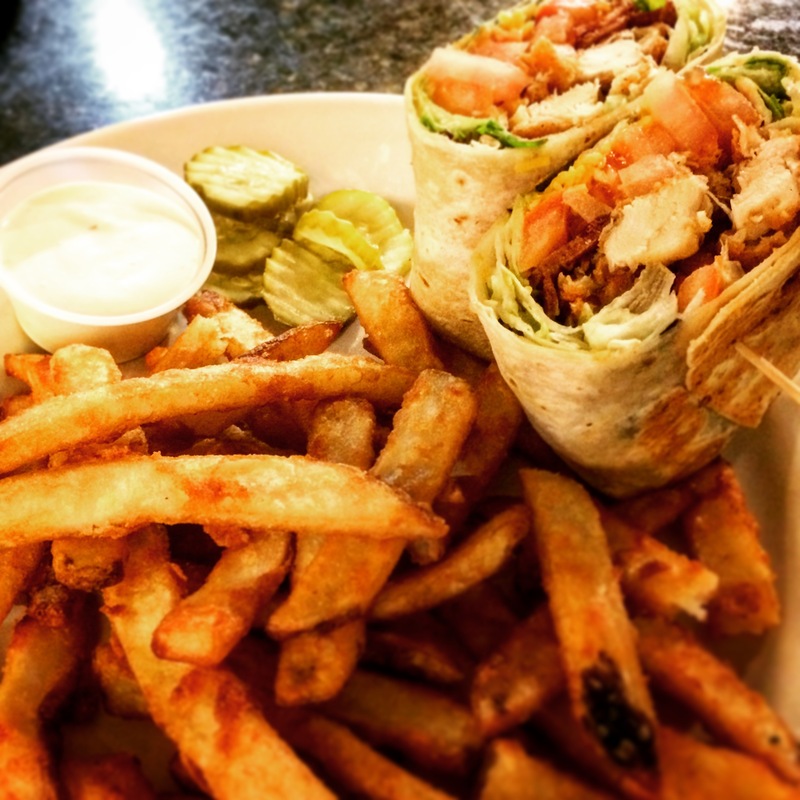 Crunchy fried chicken or juicy marinated grilled chicken wrapped in a flour tortilla with lettuce, tomato, bacon, cheddar cheese and ranch dressing. Mixed greens topped with cranberries, walnuts, blue cheese crumbles, bacon and grilled chicken. 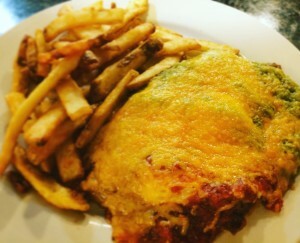 Served with grilled pita..
Two corn tortillas layered with refried beans and topped with two eggs sunny-side separated by red and verde salsa with cheese and home fries. A must try. 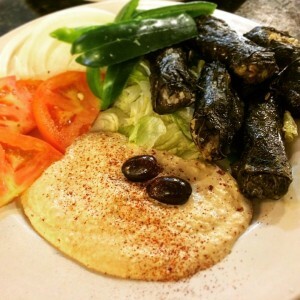 Grape leaves are made fresh by grandma herself. Dish is served with hummus and veggies. Mixed greens with tomatoes, onions, cucumbers, feta cheese, Kalamata olives and pepperoncinis, served with our homemade Greek dressing. 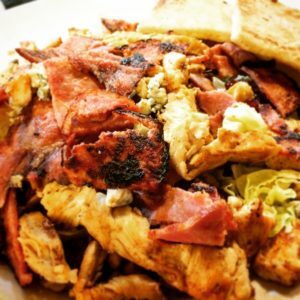 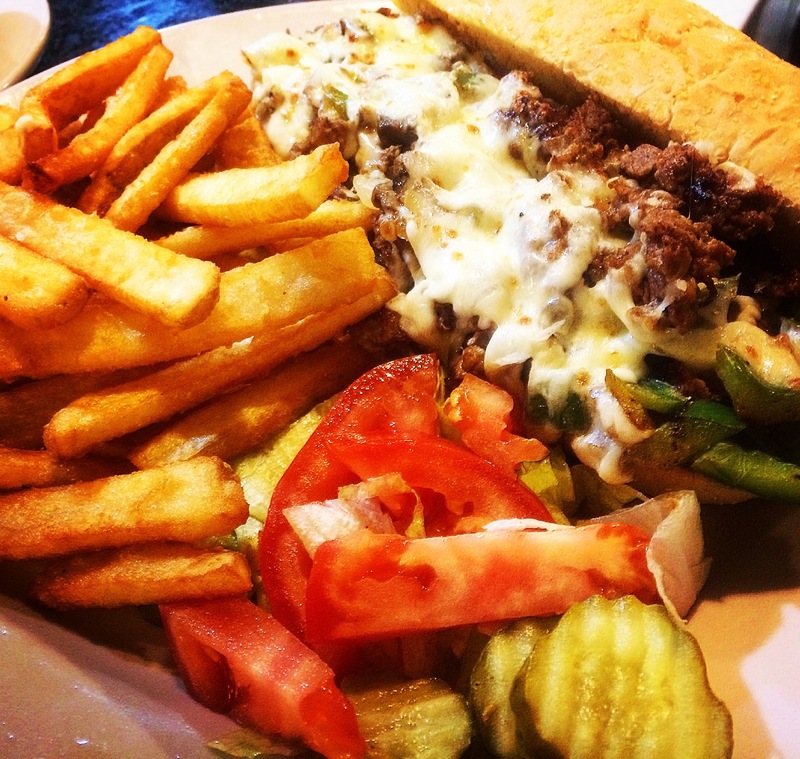 Can be topped with grilled chicken or gyro meat. 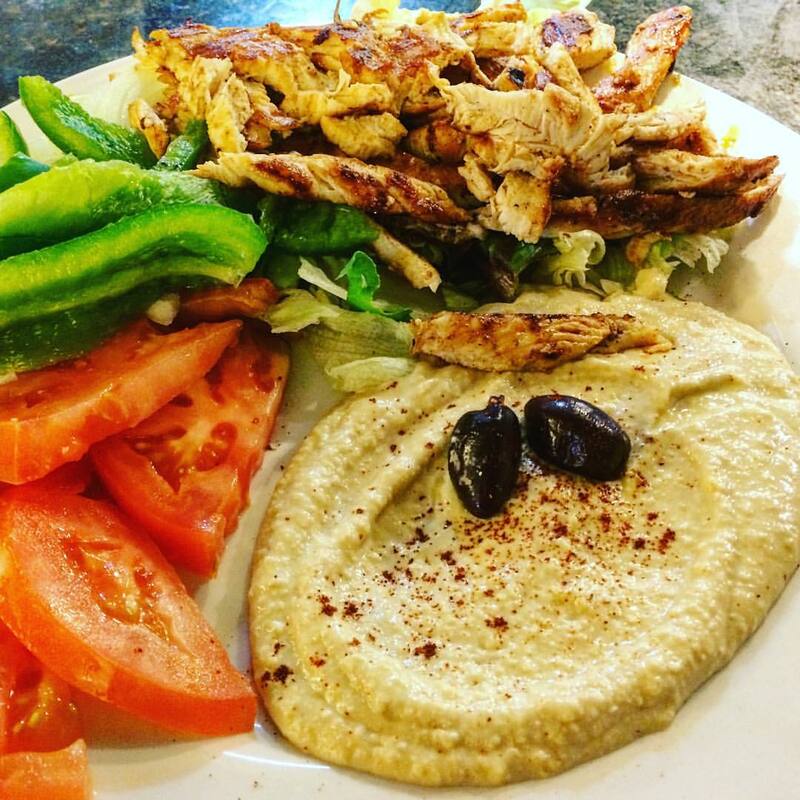 Served with grilled pita..
Our hummus platter is served with choice of chicken, gyro or mixed meat. 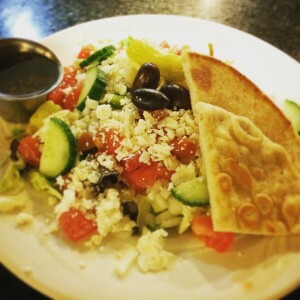 Green pepper, cucumber, tomato, onion & garlic pita. Homemade hummus wrapped in a Greek pita with tomato, onion, green pepper, cucumber and Kalamata olives. 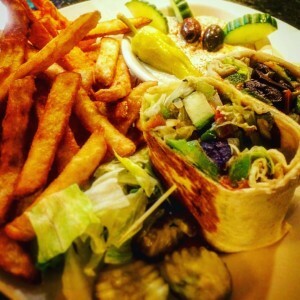 Steak or chicken served with sauteed mushrooms, onions, and green peppers, topped with mozzarella cheese, wrapped in a tortilla. Spinach, feta, onions and tomatoes. 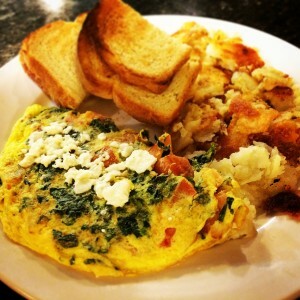 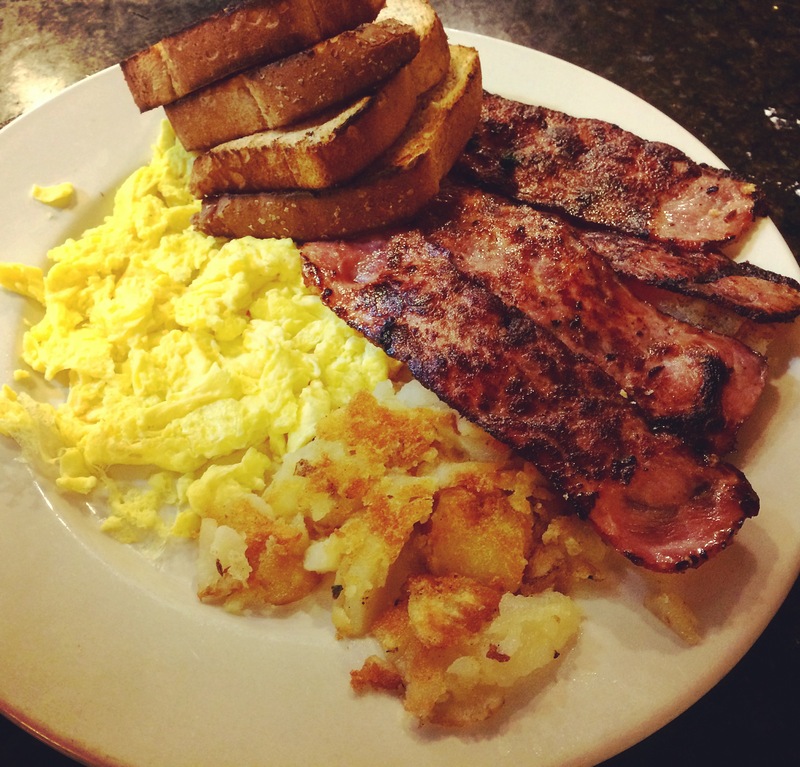 Includes three large eggs, choice of bacon, ham, sausage links or patties, home fries and toast. 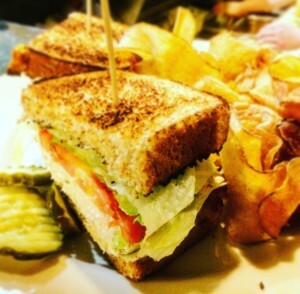 Grilled turkey, crisp bacon, tomato and cheddar cheese, served with french dressing on grilled marble rye.